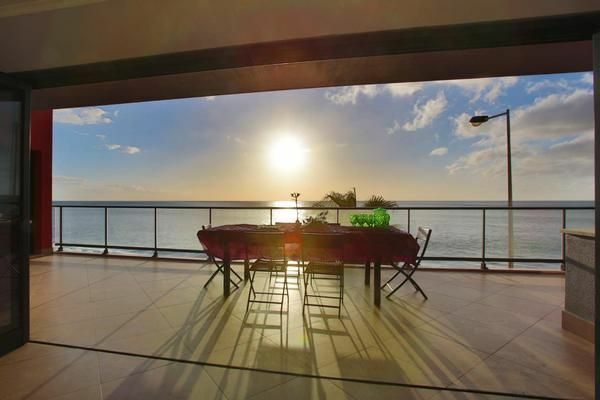 Located in Paúl do Mar - Calheta, Madeira island, Villa Camacho V is a modern and luxurious property which offers fantastic views of the Atlantic Ocean. Featuring free WiFi, this villa features private parking. Includes 4 spacious Suites an elegant living room and very well modern funcional and equipped kitchen. Besides all this conditions there's also a breathtaking view veranda and a complete barbecue. From this Villa you have also the possibility of watch surfing and experience this kind of sport, not to mention the amazing sunset, the sound of the waves, the smell off the sea and one of the most beautiful sunsets you've ever seen!